Having recently run the first of a series of WordPress workshops I’m going to address several questions that were asked during the period leading up to the course. So, for those of you who are unsure just what WordPress is and the difference between WordPress.com and WordPress.org, read on. For me, WordPress represents the best open-source, data-base driven platform out there, for development of a CMS online business presence, whether website, blog or both is the desired outcome. Apologies if that explanation is a bit baffling, I’ll explain. Well, actually I’ll first baffle you further by saying there are, in fact, two versions – WordPress.com and WordPress.org. Same name (almost), but the two version of WordPress are quite different. I can appreciate it’s very easy to be confused.com at this stage, so, I’ll try to explain in as plain English as I can muster. Let’s start with the terms “open-source” , “database” and “CMS”. What do they actually mean? “Open source” means it’s free to use, which in relation to WordPress is exactly what it means. The only difference is, with WordPress.com you sign up to an account on their server, for free. Whereas with WordPress.org you download the source files, for free, before installing them on a hosting server of your choice. (Many web hosts offer one-click installations as part of a hosting package these days, which can seem a easy option, but can be a trap for the unwary). WordPress is “database” driven, as opposed to many websites which are static. A database driven installation provides facility for content to be rendered according to search criteria requested by a user. (I hope I’ve explained that simply enough)? “CMS” stands for Content Managed System, which means you can DIY configuring both content and the look/feel/layout of the site/blog without need for help from a professional developer. Well, that’s the theory! In actuality, DIY with WordPress.com is achievable without too much hassle, whereas WordPress.org is not the best playground to visit first, if you’re a novice. Why? I’ll just say, at this point, it’s all a matter of security. WordPress.com is a hosted version of the open source package WordPress.org, which means that WordPress.com is absolutely free, whereas WordPress.org is free to source, but not free to run because you need to install it on a hosting server (for which you’ll have to pay a monthly/annual fee). WordPress.com boasts provides a relatively easy experience for novices “where you can start a blog in seconds without any technical knowledge”. In reality, if you have some prior knowledge of using an online website builder, it helps. If not, it can be a bit of an uphill climb to begin with. Repetition soon embeds a memorable skill-set and accessing a little professional help with WordPress.com, at least in the initial stages, can speed up the learning curve considerably. WordPress.com also boast that they’re “under very active development” rolling out updates “almost every day”. This is great news for the end user but not such great news when you’re trying to present a course where features may have been upgraded and changed from one presentation to the next. Keeps me on my toes, that’s for sure and is, I suppose, a reflection of the wider internet world, moving ever forwards like an unstoppable lava flow! For the end user, with WordPress.com, there’s nothing to upgrade because the WordPress.com people do it all for you – for free! With WordPress.org there’s a requirement to DIY with upgrades and updates. If you get lazy and don’t upgrade and update then there’s a serious risk of your website/blog getting hacked. Ah yes, do you remember me mentioning the word “security” earlier? Security is an aspect that many novices don’t understand or appreciate when they embark on running their WordPress.org website or blog. What’s even more worrying is the growing number of so-called WordPress Developers who set up WordPress.org installations for clients without due care and attention paid to securing the installation at the Server. It must be remembered that whatever is done, security wise, there are no cast-iron guarantees against hacking. However, if you hire a Developer to set-up a WordPress.org installation and they don’t discuss the potential security risks with you, then I’d advise you find someone else. Back at WordPress.com it’s always calm, creative and security issue free. They take care of updates/upgrades/back-ups for you. So that begs the question “Why would anyone want to opt for the WordPress.org version”? I could now write several paragraphs about the benefits of WordPress.org over WordPress.com in respect of functionality and development possibilities. However, this post is really geared towards beginners in the world of WordPress, helping them understand and appreciate why starting with WordPress.com might be the best option over plunging straight into working with a WordPress.org installation. You can learn to ‘drive’ a WordPress website/blog, quite safely and for free, on WordPress.com. Many of the features are similar to that which you’ll find on the WordPress.org platform. Certainly with respect to the main elements of any website/blog, i.e. Pages and Posts. With WordPress.com you have options for featuring images, video and for social sharing, just as on WordPress.org. With WordPress.com you don’t have to worry about security or version updates, they’re just taken care of, unlike on WordPress.org where you’ll have to constantly monitor for changes and then implement upgrades/updates. On WordPress.com you don’t have to back-up your database, because they do it for you. On WordPress.org it’s your responsibility. What is WordPress? It’s just the best platform out there, in my opinion. The beauty is that you can start to ‘drive’ your website/blog, safely, with no security/updates/backups to think about. Furthermore, theres a facility to migrate the content on your Pages and Posts to a WordPress.org installation, which offers greater scope for advanced functionality options, at a later stage. I’m not aware of another free website-builder that provides this degree of ‘transferability’, which is why I recommend WordPress so highly. I think there are other free website builder tools out there, but none in my opinion live up to the quality that is WordPress. So, why start anywhere else? 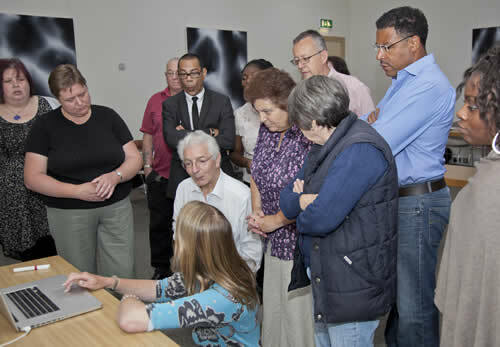 If you’d like to set up and learn how to ‘drive’ a WordPress.com website/blog, Follow this link for the next WordPress training day on 1st November, 2013 in Nottingham. 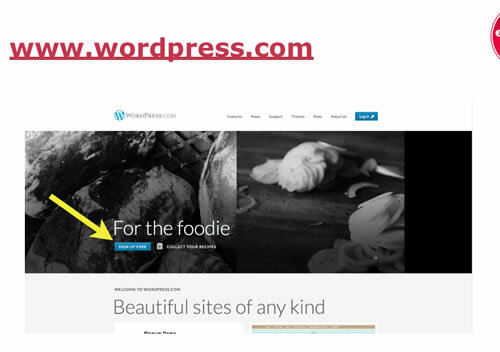 @susancollini I’m firmly on the WordPress wagon now, it’s relatively simple to use. I’m even a bit excited at the prospect of writing blogs!